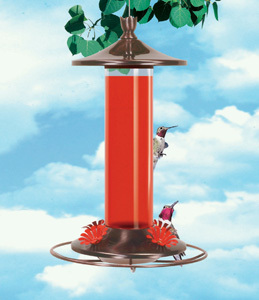 Glass & Metal Hummingbird Feeder. Brushed bronze metal top and base. Glass & Metal Hummingbird Feeder. Brushed bronze metal top and base.